When it comes to SEO, specifically keyword research and backlink analysis, I place all my trust in two tools: SEMrush and Ahrefs. I thought I’d never find a tool which could match the incredible standards set by these tools — SEMrush in keyword research and competition analysis, and Ahrefs in backlink analysis. Which is why I was reluctant to try out Serpstat despite reading rave reviews about it on various online forums and subreddits. It’s not that I wasn’t on a lookout for promising new SEO tools. It’s just that I was afraid Serpstat was going to fall way short of my expectations. Within a few weeks of using the tool, I realized I was wrong. 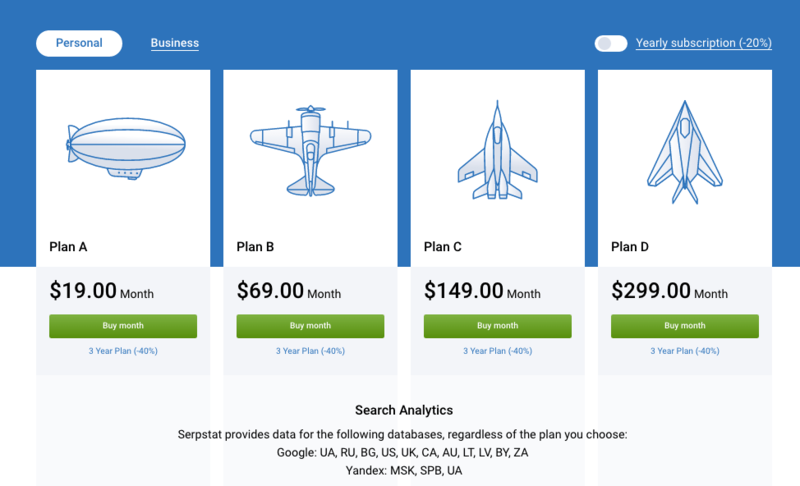 Serpstat is one hell of an amazing SEO platform. 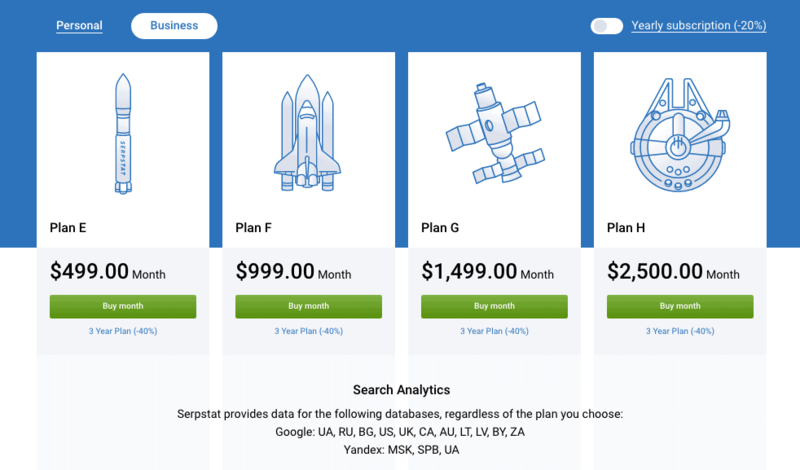 I was aware of Serpstat’s features before signing up, but I was blown away by how well it could do all these things and add value to your SEO and content marketing campaigns. Before we proceed, let’s get one thing straight: Serpstat is not as good as SEMrush. A few websites have already made this audacious claim which is simply not true. If I were to publish a comparison article of the tools’ key features, SEMrush would emerge as the clear winner. Serpstat has a lot of catching up to do before it can be compared with the likes of SEMrush, Ahrefs, and even Moz. That said, it wouldn’t be fair to compare a tool like Serpstat with SEMrush. SEMrush is an industry heavyweight with over a decade of experience. The company has made significant improvements to their product after extensive research of different industries over the years and it has gained a deep understanding of the different marketing needs and nuances of the market. 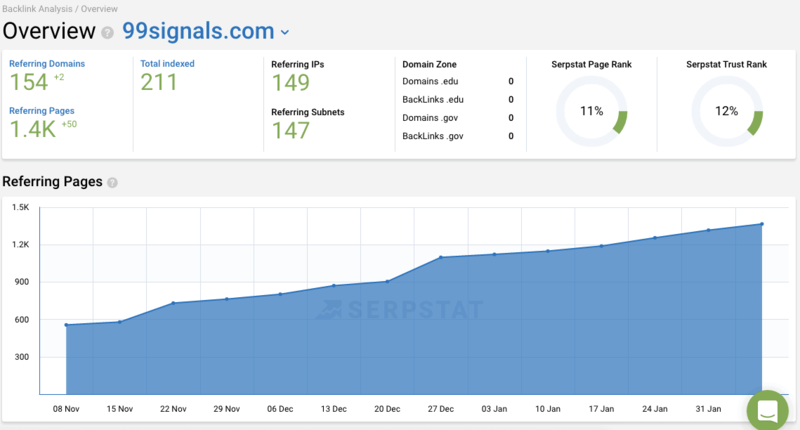 Serpstat, on the other hand, is a decent tool that simply exceeds expectations for an SEO platform with a starting price of $19/month. You’re more likely to meet your monthly ROI you expect from this tool. Keeping this in mind, let’s deep dive and analyze Serpstat’s key features. Serpstat was founded in 2013 as a keyword research tool. Since then it has slowly evolved into a full-fledged SEO & PPC analysis product. Serpstat’s database has more than 100 million keywords, 180 million ads and 200 million search suggestions. Earlier this year, they grew their keywords database which now parallels the database of major SEO companies like Moz and SEMrush. Serpstat provides data for 10 Google regions: the USA, Great Britain, Canada, Australia, Lithuania, South Africa, Ukraine, Russia, Kazakhstan and Bulgaria. It also provides data from Yandex for Moscow, Saint Petersburg and Ukraine. Serpstat is used by more than 30,000 online marketing practitioners worldwide: SEO and PPC professionals, marketing managers and copywriters. Now that you have some info about this product, let’s put the tool’s features and functionality under the microscope to see whether it’s worth investing in this tool. Website analysis has two aspects – Domain Analysis and URL Analysis. SEO Research – From here, you can track positions, do a domain vs domain comparison, identify top competitors for your site (done automatically by Serpstat), explore top organic pages on any site, and even get a tree-view of keywords your site ranks for. PPC Research – If you rely on PPC ads to drive traffic to your website, you’ll find this data invaluable. When you enter a keyword in the search box, you’ll be able to see data related to keywords, competitors for that keyword, ad examples, and ad research. This is where you can analyse your top competitors’ PPC strategies, identify gaps in your own PPC campaigns, and then improve upon your ad copies and targeting to reach a wider audience. Batch Analysis – This allows you to quickly compare metrics of up to 200 domains. For the example below, I picked 12 domains to check key metrics such as traffic estimate, total keywords, new keywords, lost keywords, etc. Infographics – Charts would have been a more accurate term for this feature as it displays a number of charts for your site’s visibility, organic keywords, search traffic, ads, etc. Keywords/Positions – When you type the URL in the search box, you get a list of keywords and their rankings on Google for that specific URL. Competitors – This shows competitors to the URL entered in the search bar, along with their total number of Facebook shares. URL vs URL – This tool allows you to do a side-by-side comparison of a specific URL from your site with 1 or 2 competing URLs, and discover common or unique keywords of the specified URLs. Missing Keywords – Shows you keywords for which competitors’ pages rank in top 10, but are not present in your specified URL. 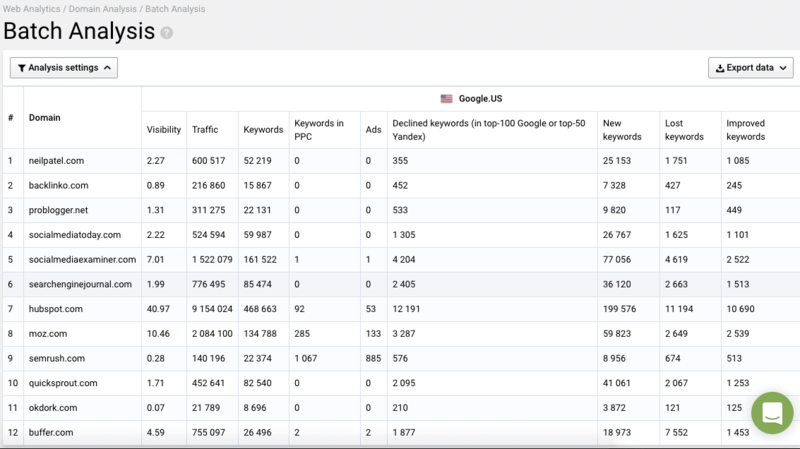 Serpstat allows you to quickly find all the common keywords you and your competitors are ranking for, as well as provide a boatload of new keyword opportunities your competitors are targeting, but you may have overlooked. SEO Research – Includes keyword selection reports (matched keywords), cluster research (LSI keywords), search suggestions, top pages, and competitors for the keyword. PPC Research – Includes list of paid keywords, list of competitors for the paid keywords, ad examples, and ad research reports. Content Marketing – Includes search questions which lists all interrogative search suggestions containing the keyword. SERP Analysis – Shows you top 100 Google results in organic and paid search for the keyword. 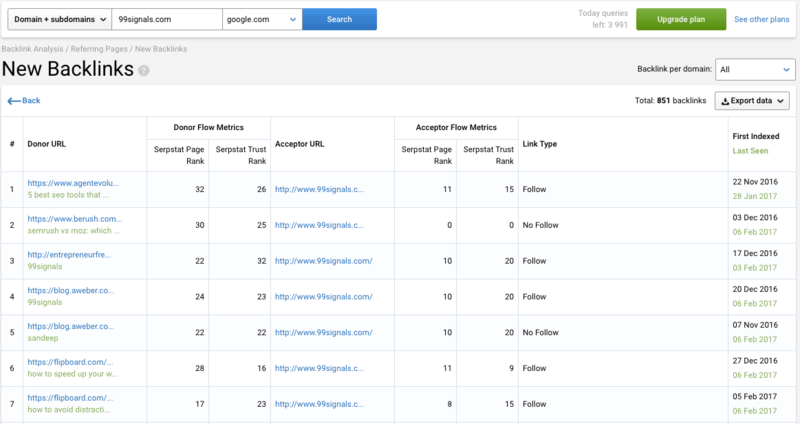 Serpstat also offers you the capability to analyze your link profile as well as your competitors’ backlink profiles. This feature allows you to uncover your competition’s link building strategies and highlights new sources you can tap into to build your backlinks. Backlink Dashboard – The dashboard gives you a brief overview of your site’s referring domains, pages, total pages indexed, referring pages, and so on. You also get to see Serpstat’s Page Rank and Trust Rank, which is the company’s own take on metrics such as Domain Authority (DA) and Page Authority (PA) by Moz. Referring Domains – Here you get to view the referring domains to your website. You also get to see the Alexa rank of each of the domains linking back to your site. New/Lost Backlinks – An all-important feature, this is where you to get to see new backlinks as well as lost backlinks to your site. You also get to see whether the links pointing to your site are follow/nofollow. Anchors – Though not as important as they once were, anchors are still crucial to understanding the keywords that are associated with your site. 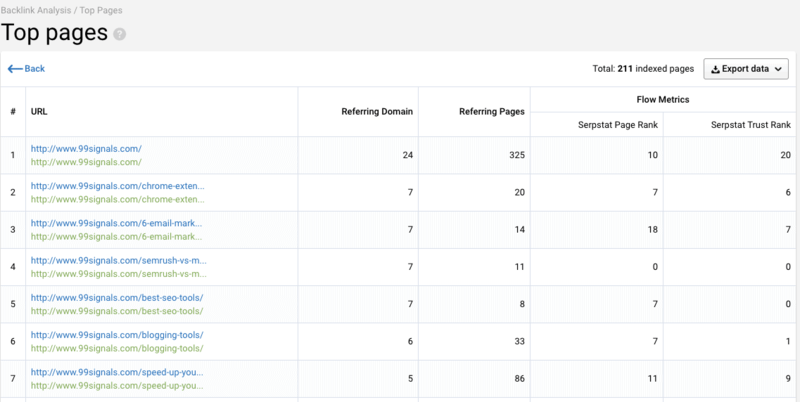 On Serpstat, you can get to view an anchor cloud and a list of keywords used as anchor text to link back to your website. Top Pages – This feature allows you to see the top pages on your website on the basis of the number of backlinks. Search engine rankings for keywords change frequently. So it’s important to stay ahead of the curve by keeping a track of position changes in SERPs for keywords your site is ranking for. History – shows you historical data on the domain’s positions for the selected keywords. Competitors – shows you the traffic share for the selected keywords among competing domains. Site Audit on Serpstat gives you a comprehensive analysis of your site’s overall SEO score, highlighting all the errors that need to be fixed to have it functioning at its optimal capacity. Meta Tags – allows you to see high, medium, and low priority errors with your site’s title tag, meta description, etc. Headings – allows you to see high, medium, and low priority errors concerning headings (h1,h2, etc.) on your site. Redirects – shows you the total number of redirects on your site and provides information on whether your site has any wrong or corrupt redirects. Accessibility and Indexation – shows you pages with canonical tags, flash elements on page, low word count, etc. Links – allows you to see if your content has any problem with external links. Server Parameters – shows HTTP/HTTPS issues on your site. Loading Speed – allows you to see and fix errors affecting the site speed of your website. And finally, we arrive at Tools which is a section where you can view the history of your queries on Serpstat. You can also view and export the saved lists of keywords and reports, upload and check for quality a list of your keywords. Depending on your plan, you’ll be able to add a list of projects to the Serpstat dashboard. This is where you can access data such as site audit, rank tracking, backlinks data, keywords data, etc. Since Serpstat is loaded with features, there is a bit of learning curve involved. This is especially the case if you’re a beginner and this is the first SEO platform you’ve been exposed to. Despite a somewhat steep learning curve, you’ll be dazzled by the impressive UI of the tool. Kudos to the team for developing a well-designed interface that is so intuitive and user-friendly. And if you’re migrating to this tool from other tools such as SEMrush, Raven, and Moz, you’ll take some time to get adjusted to the interface. That’s exactly what happened with me as well. I was so used to the interface of SEMrush that I was reluctant to use Serpstat at first. But after spending a day or two on the tool, I realized how much I enjoyed using the tool and saw myself spending more and more time with it. This is where Serpstat really delivers the sucker punch to other SEO tools. Most of the well-known SEO tools in the market seem to have reached a consensus with respect to monthly pricing of their basic plan which is somewhere near the region of $100 a month. These tools have earned enough market share and reputation to command a price like that. But if you’re a blogger who’s just starting out, the pricing of these products can stop you from even trying them out. You could always sign up for free trials, but they often come with restrictions which prevent you from using them to their full potential. 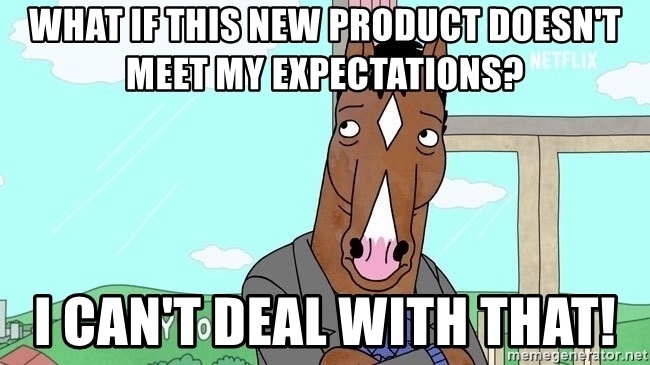 With Serpstat, you’ll have no such problem. All their plans are competitively priced and you can choose a plan which suits your current requirement. There is even a forever-free plan where you’re allowed to perform 30 searches and audit 100 pages in a month. The paid plans start from $19/month. The table below shows what each plan offers in detail. Successful businesses have one thing in common – they provide great customer service. It’s a competitive advantage that needs to be earned. Serpstat’s customer support team is helpful and provides resources so that you can be an expert at using their tool. They even have a Serpstat Academy which is a free online learning center, where you can learn more about Keyword Research, Competitor Analysis and SEO of various levels, from basic to advanced. In addition to this, you can open up a chat box via chat icon on any of the pages and chat with a Serpstat expert who responds to your query in under 5 minutes. Impressive stuff. Serpstat reviews on review aggregators such as G2Crowd, Capterra, and TrustRadius are quite limited. This is quite understandable considering Serpstat is a relatively new tool compared to search veterans like SEMrush and Moz. As of September 2018, Serpstat has 140 reviews on G2Crowd so far with an impressive score of 4.5/5 stars. On Capterra, Serpstat scores 4.5/5 with 35 reviews and on TrustRadius, it’s rated 4/5 with 8 reviews. When all is said and done, the primary role of an SEO tool should be to present accurate data for keywords, backlinks, and traffic. The data obtained from the tool should help you create better content and drive qualified traffic to your website. Serpstat does 3 things exceptionally well – keyword research, PPC analysis, and competitor research. You can use it to find new keyword opportunities, content ideas, analyze PPC campaigns, and perform in-depth competitor research. With plans starting from $19/month, it’s one of the most affordable SEO tools in the market. If you’re seeking a reliable SEO tool that’s easy on your pockets, then you should give Serpstat a try. Sign up for their free plan and test the tool out yourself. If you have any questions regarding Serpstat, I’ll be happy to answer them in the comments section. Feel free to share your thoughts. And if you’d like to learn more techniques to use Serpstat to improve your site’s SEO, then check out this detailed tutorial and how-to guide on using Serpstat. Editor’s Note: This post was originally published on Feb 11, 2017. It has been updated regularly since then for relevance, freshness, and comprehensiveness. SEMrush vs Moz: Which is the Best SEO Tool? Serpstat is an exceptional tool for keyword research, PPC analysis and competitor research. You can use it to find new keyword opportunities, content ideas, analyze PPC campaigns, and perform in-depth competitor research. With plans starting from $19/month, it's one of the most affordable SEO tools in the market. Very interesting article. This software is almost like Ahref. How does it compare to it? Do you know the answer to this? I would like to buy it, but I need to know if it does compare to the other tools for keyword research, rankings etc. I’m a newbie in ecom do you think Serp could fulfill the role of both LTP and Semrush. If not, I can see Serp competes well against Ahrefs and Semrush but how’s does it stack up against LTP or Keyword finder. Cheers.